Rudi is using Smore newsletters to spread the word online. 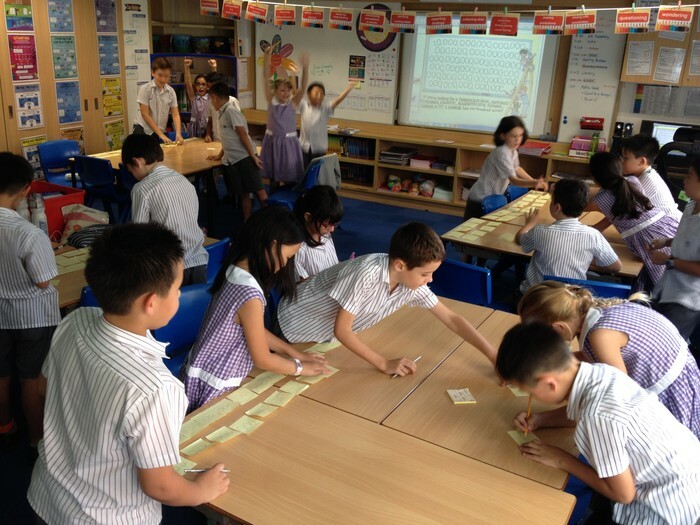 Your child has completed their first half term in Year 5! The teachers have enjoyed getting to know them and we thank you for your continued support. Please remember to read with your child during the break. There are many real world mathematical opportunities too e.g. converting currencies if you are going abroad, calculating prices on shopping lists at the supermarket, helping to measure in the kitchen, multiplying the numbers on license plates etc. We wish everyone a restful half term holiday and look forward to seeing the children back at school on Monday 26th October. A reminder that the newsletter will be published every 2 weeks on a Friday. A link will be emailed to parents using the gateway details so please keep your email etc up-to-date. Central Idea: Energy may be converted from one form to another and stored in various ways to enhance human progress. 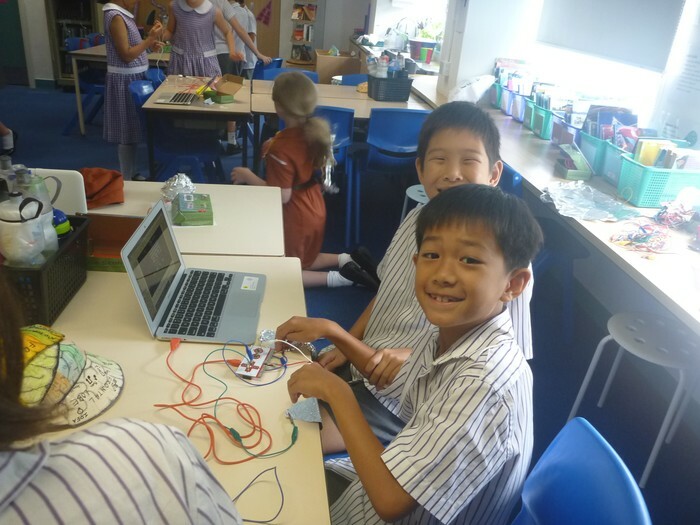 The children have been tuning in to the new unit by sharing their understandings of different energy forms, including forces and electrical circuits. They will have many opportunities to set up investigations and experiments using the 'scientific method' to record their understandings. 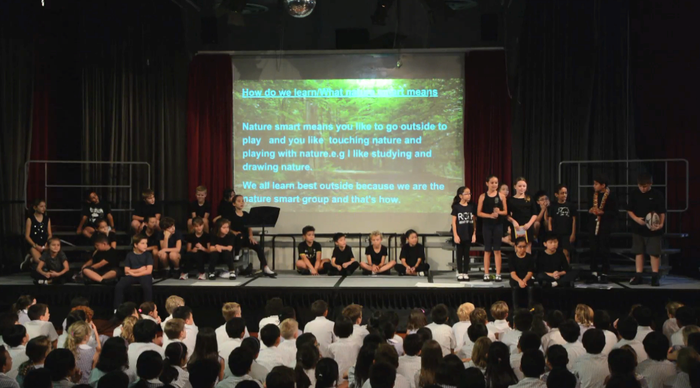 All classes will also visit the Zero Carbon Building in Kowloon Bay to experience sustainable energy practices in action. Click here to find out more. For further details about dates for each class, please see below. 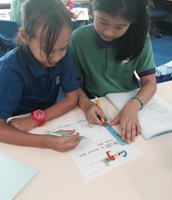 Kennedy School celebrated World Maths Day by turning it into Maths Week! 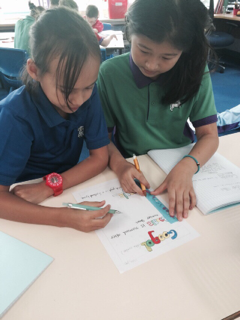 Year 5 read the book 'Can You Count to a Googol' to consolidate and extend the idea of the Base 10 place value system. The children considered how many zeros are needed to make a googol, and were introduced to the idea of powers of ten, exponents, factors and products. Our swimming sessions have now come to an end until Term 3. Games will commence on Tuesday 27th October. The children will need to wear their PE kit to school every Tuesday, as well as on their regular PE day. Children playing rugby are strongly recommended to wear a pre-moulded mouth guard to every session. Children playing hockey must wear a pre-moulded mouth guard, long socks and shin pads to every session. All available at the PTA! Please refer to last week's Kennedy Newsletter for the Games rota. Box of Hope is an annual charity project aimed at providing useful/educational gifts to underprivileged children in Hong Kong and Asia. Kennedy School participates in this every year, and we encourage every child in the school to kindly donate at least one Box of Hope. For more information about how your child can get involved in this very worthwhile cause, please click on this link. A huge thank you for the amazing selection of treats which the children sold (and ate!) 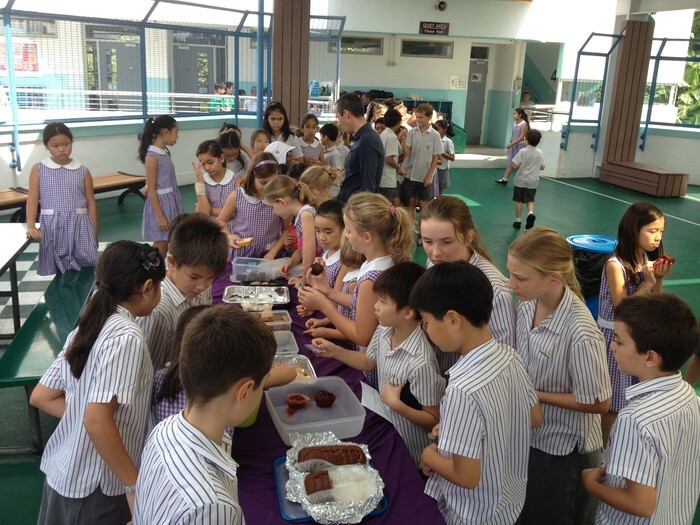 during our two annual bake sales. We raised a grand total of $7187! 27th and 29th October - Parent Consultations - NO after school clubs on these 2 days. Please discuss going home arrangements with your child. 30th October - PTA Halloween Barbecue - please contact the PTA if you'd like to help out!